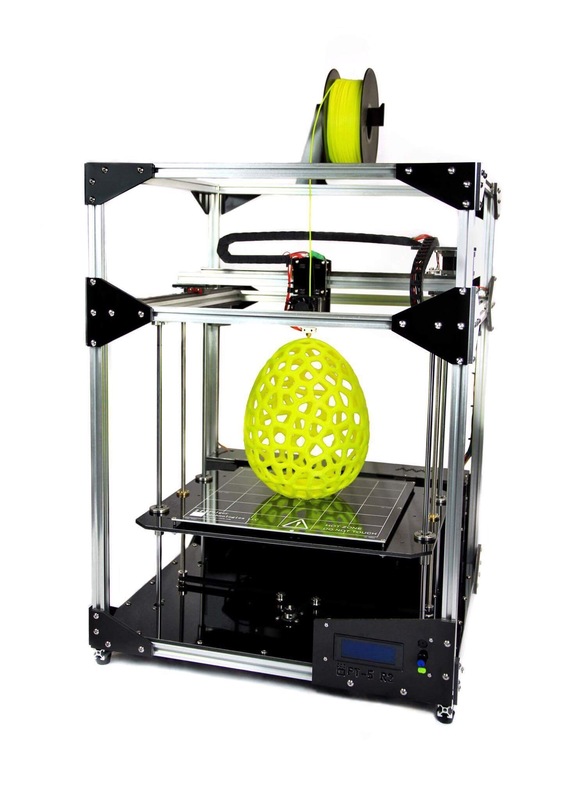 Folgertech FT-5 R2 is a Large Scale 3D printer kit boasting a huge 12inx12in15.75in print area. The kit comes with everything you need to assemble the machine with the use of a few simple tools. The highlights of this kit are the massive build area, Linear rails on the X and Y movements. Dual Y and Z motors for additional speed and power. This kit also includes an 24 V aluminum build surface/headed bed capable of printing many materials including PLA and ABS. Just in case. Of course ships out perfect products. The Folger Technologies FT-5 is a great kit combining the simplicity of an erector set with the power of a much more expensive desktop printer. The FT5 was my very first 3D printer, and while it took me longer than average to get it assembled and then dialled in, it has been as steady as a rock ever since. The quality and speed are genuinely lovely. There's nothing that it cannot handle. I printed my entire wedding bouquet on it! It took several days to assemble. And it did need some tuning. But overall the printer works quote good. Some noteworthy advice.... I had difficulty running the printer above a speed of 125 on any setting,..it kept skipping. Drop your speed down below 80 on all movememts amd it works vreat. Also, the machime initially would not recognize the sd card. But if you go to the place in the program where you would tap the button to select the card, then pull the card out, stick it back in, and then it reads the card properly. If you need and easy 3D printer and don't really care for learning all about it. Then the CR-10 is a good choice, but if you want higher quality, and much more potential and to learn your 3D printer/s inside-and-out then go for a FT-5.Especially now with the R2 out.